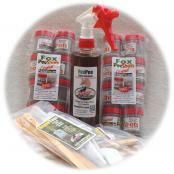 100% Pure Fox Urine Products - Foxes are very efficient killing machines. They are quick, smart and lethal. Foxes prey on rabbits, hare, chipmunks, squirrels, and skunk. And Fox Urine sends a message of extreme fear to these animals. When these animals get a whiff of Fox Urine spray, they know that real danger could be very close by! For sheer survival, they flee! 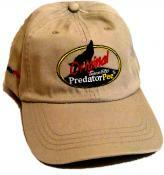 The PredatorPee Fox Urine concept is simple - create a "pee-rimeter" around your yard, garden, etc. in much the same way as a Fox marks its territory in the wild. The Fox Urine "pee-rimeter" creates a ring of fear that Fox prey will make every effort to avoid. 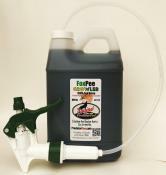 If you have a rabbit problem or squirrel problem or if you want to get rid of skunks, Fox Pee Fox Urine is the natural solution. You have seen the damage that these critters can cause. Now you can stop them without chemical repellents with all-natural, pesticide-free fox pee in a convenient 12 ounce squeeze bottle. Yard Cover Shakin' Flake fox urine granules are perfect for protecting gardens and lawns and container gardens from digging and burrowing critters like chipmunks. It is the natural way to get rid of rabbits, skunks, squirrels and more! Buy fox urine below. 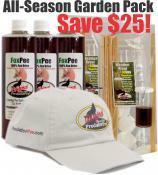 Fox Urine Outdoor-Indoor Combo Pack - Save $16! 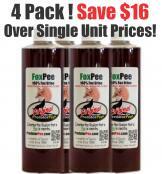 8-Pack of Fox Urine PeeShots - to drive animal pests out of attics, basements, garages and sheds! Everything you need to create a "pee-rimeter" around a ¼ acre yard (100'x100') Contains 4 – 12 oz Bottles of PredatorPee® plus enough ScentTags to hang every 10'-12' around the entire perimeter (four packages). That's enough for at least 2 months of protection! Choose Coyote Pee or Fox Pee here or at checkout. 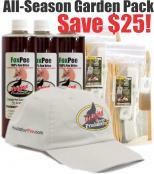 FoxPee RV Pack for Squirrels and Rabbits contains (2) 8-packs of FoxPee Shots, (1) 16 oz FoxPee Trigger Spray Bottle and (2) 10-packs of ScentTags, Ties and Stakes – Only $99 - Save $10 over single unit prices!